The Convention of the Episcopal Diocese of Fort Worth was held Friday, November 10 and Saturday, November 11, 2017, at the Cleburne Convention Center. 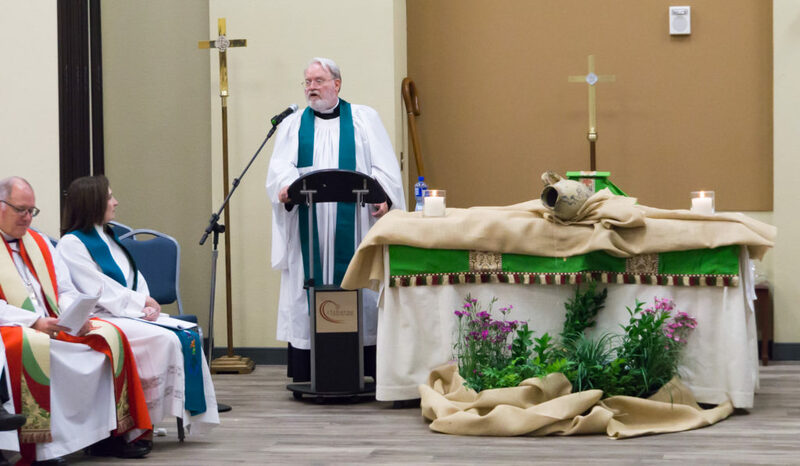 Read or view guest preacher Doug Travis’ sermon from the opening Eucharist. The offering from the opening Eucharist ($1,161) is being sent to Episcopal Relief & Development to support those recovering from hurricanes. 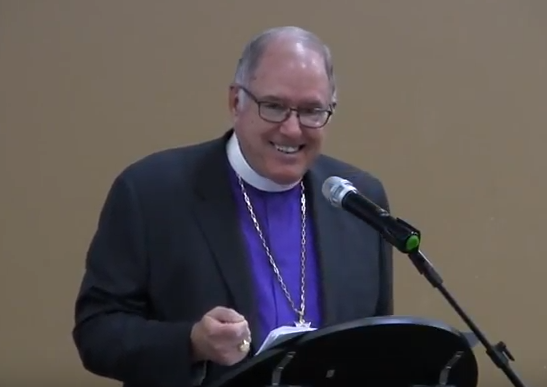 Read or view Bishop Mayer’s address to the Convention. There were eight positions open for nomination at the 2017 Convention: At-Large Members of Executive Council, Disciplinary Board members, Standing Committee members, and a Trustee of the University of the South. View the original slate of nominees and their bios. Justine Roberson creates scarves, hats and other hand-made accessories that make great gifts. Seminary of the Southwest forms men and women for the service of Christ in lay or ordained ministry within the church and the larger society. We’ll share information about our degree programs as well as news from on campus that our alumni and others will be interested in. Sewanee, as we are familiarly known, is an internationally recognized university with students from 31 countries and from 48 states. Consistently ranked as one of the top liberal arts colleges in the country, the University of the South is considered one of the “best values” in higher education and one of the top five most beautiful campuses in the United States. Sewanee is committed to education, diversity, and service. Twenty-six Rhodes Scholars have been educated at Sewanee, and we offer a wide range of academic opportunities for young scholars with world-class talent to thrive. We will be distributing the new Christmas 2017 Episcopal Relief and Development gift catalog and displaying several items showing the work of Episcopal Relief and Development in the USA and around the world this year, including a mosquito net that has cut deaths from malaria in half in the 3rd world. 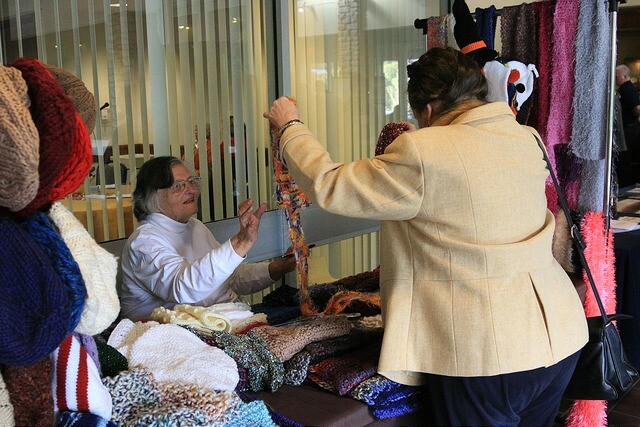 Threads of Blessing is ministry of the Diocese of West Texas. It is composed of women who delight in holding a needle and thread to design and embroider. We are committed to supporting and nurturing the creative process. Threads of Blessings enables women in Honduras and Uganda to produce unique pieces of textile art that represent their culture and surroundings. Through the sale of their work in America, these women are able to provide medical care, education for their children, buy livestock and seed for crops, and build simple homes for their families. As their work improves and their confidence grows, many lives are being impacted and changed. For the women in America, some are missionaries and some are stay-at-home embroiderers working on needlework commissioned projects for churches and individuals in America. Clergy have donated books from their libraries for Convention members to peruse and enjoy. Books are free for anyone to take – any funds donated in exchange for the books will be added to the Convention Eucharist offering benefitting hurricane relief through Episcopal Relief and Development. 4Saints Episcopal Food Pantry is open from 12-2 pm each Friday. Clients may receive food one time per month. We serve Zip Codes 76103, 76112 and 76120. 4Saints is supported by the parishes of the Fort Worth East Deanery of The Episcopal Diocese of Fort Worth: St. Luke’s in the Meadow, Fort Worth (where the pantry is located); St. Martin-in-the-Fields, Keller; St. Alban’s, Arlington and St. Stephen’s, Hurst. On January 27, 2017, 4Saints opened its doors for the first time. Although the original plan was to open once a month to serve the community, the decision was quickly made to open once a week to be able to serve more families in the east Fort Worth zip codes of 76103, 76112 and 76120. View photos from the grand opening and ribbon-cutting. At our table, we will have some items for purchase and be open to receiving donations. 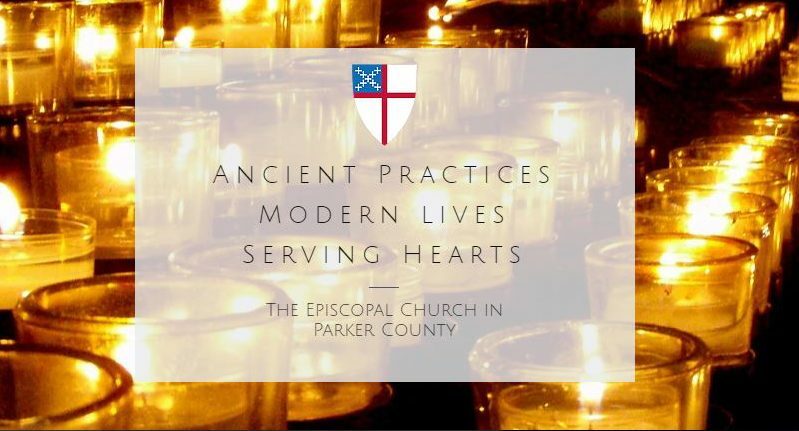 Learn more about the work of church planting going through the Episcopal Church in Parker County. We are a missional church plant in The Episcopal Diocese of Forth Worth that began meeting in June 2017 under the leadership of Fr. Hunter Ruffin and the pastoral oversight of The Rt. Rev. J. Scott Mayer. We believe that everything is rooted in authentic relationship with God, with self, and with others. Our relationships with each other and with God through Christ Jesus help us to experience the in-breaking reign of God’s love. We gather at the offices of Habitat for Humanity on the 1st and 3rd Sundays from 4-6pm. We hope that you will accept our invitation to join our community of disciples. God’s love is for everyone – no exceptions! Fr. Ruffin will also be presenting a workshop on Saturday morning. To provide our clients with employment assistance, initial housing, household goods and furnishings, case management, resources, referrals, education, and guidance to assist in establishing self-sufficient lives in Texas, RST works in partnership with volunteers, faith-based communities, social service groups, and businesses. RST is an affiliate of Lutheran Immigration and Refugee Service (LIRS), Church World Service (CWS), and Episcopal Migration Ministries (EMM). We will have a table full of information about our work, volunteer opportunities and congregational fundraising ideas to help support our efforts to provide for refugee clients and their families integrating into their Fort Worth neighborhoods with a staff person available to answer questions. Every baptized person is called to ministry. The Education for Ministry (EfM) program provides people with the education to carry out that ministry. During the Service of Confirmation we ask God to “Renew in these your servants the covenant you made with them at Baptism. Send them forth in the power of the Spirit to perform the service you set before them.” EfM offers an opportunity to discover how to respond to the call to Christian service.